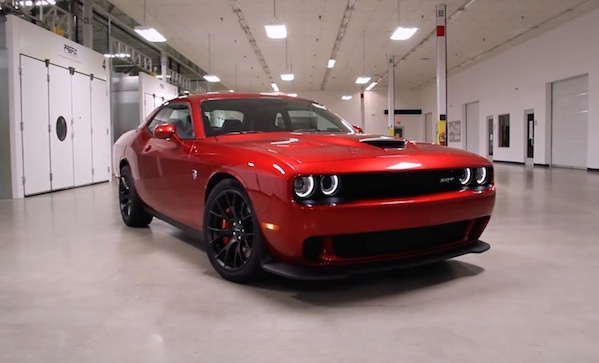 This is the first production of the 2015 Dodge Challenger SRT Hellcat. It comes with a 6.2-litre HEMI rated for 707 horses and 650 pounds of torque. It has a top speed of 199 miles per hour, and it has a quarter mile of 11.2 seconds. We’d buy it, but it turns out that every dime we have just isn’t enough. Also, buying things based on impulses only a minute and a half old is a bad idea. We’re told.